Description : Nexo was created to simplify your life by providing an online service that lets you coordinate communications and collaborations with all your different groups of friends, colleagues, neighbors, teammates and community. 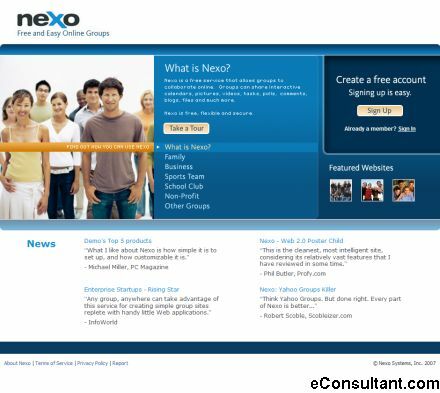 Nexo provides a website, email communications, real-time updates and social networking all in one. Nexo makes it easy to keep everyone up-to-date and makes it fun and easy to participate.